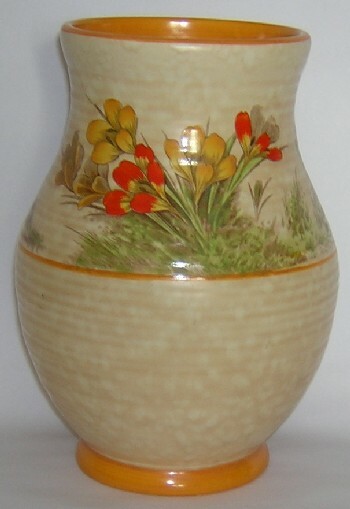 Crown Ducal pottery vase decorated in a crocus pattern. This vase stands 8½" tall and dates c1935-1938. 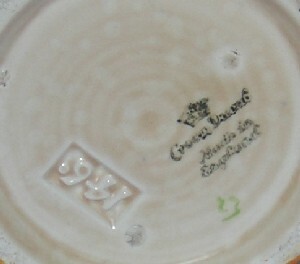 It has the Crown Ducal Made In England pottery stamp on its base. Condition: Excellent - no chips or cracks.